Home Youtube What is Youtube? YouTube is a popular video sharing. This site are to upload, view, and share video. 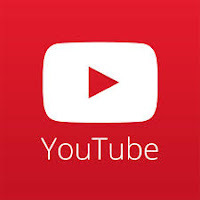 YouTube has become a form of new media namely Web2.0 popular. A recent article in Wired states that as many as 65,000 videos uploaded and 100 million videos are watched every day on YouTube (Godwin-Jones2007). YouTube content may include animations, recording public events, personal recordings friends - almost anything you want published - except for content that is unlawful or offensive and insulting nature. Video footage can be information, entertainment, persuasion or purely personal. As a social application that is increasingly recognized, YouTube allows users to post and tag videos, watch videos posted by others, post comments on ongoing conversation, find content by keyword or category, and create and join groups present. YouTube may be associated with applications other blog, and give users a quick way to create a blog about video and include a link to it. Users can read individual profiles posted or commented on a video, watch their favorite videos and contact those individuals. Read also: What is Youtube Copyright? YouTube was founded in February 2005 by three former PayPal employees, YouTube, located in San Bruno are using Adobe Flash technology to display video. The content is very broad includes clips of movies, television shows, and music videos, as well as amateur content such as videos of blog and the original brief. The company currently employs 57 workers named "Best Design of the Year 2006" by TIME magazine. In October 2006, the company Google Inc. announced that it has reached an agreement to acquire YouTube for $ 1.65 billion in Google stock. The deal was completed on 13 November 2006. YouTube was founded jointly by Chad Hurley, Steve Chen, and Jawed Karim, all of them are PayPal pioneer workers. Before working at PayPal, Hurley studied design at Indiana University of Pennsylvania, while Chen and Karim studied about computer science at the University of Illinois at Urbana -Champaign. The domain name "YouTube.com" was activated on February 15, 2005, and the website was developed over the following months. The creators offered the public a preview of the site in May 2005, and six months later, YouTube appears for the first time officially. As new technology companies, YouTube began as a venture funded by a small, inexpensive office. In November 2005, Sequoia Capital, a venture capital company, has invested US $ 3.5 million; In addition, Roelof Botha, a partner firm and former CFO of PayPal, joined the board of YouTube directors. In April 2006, Sequoia invested $ 8 million in the company, which has been the popularity and rapid growth in just its first few months. Based on the explanation above, those are the description how Youtube was started. This site is consistent doing their mission. Now, Youtube become the great company under the Google Inc.